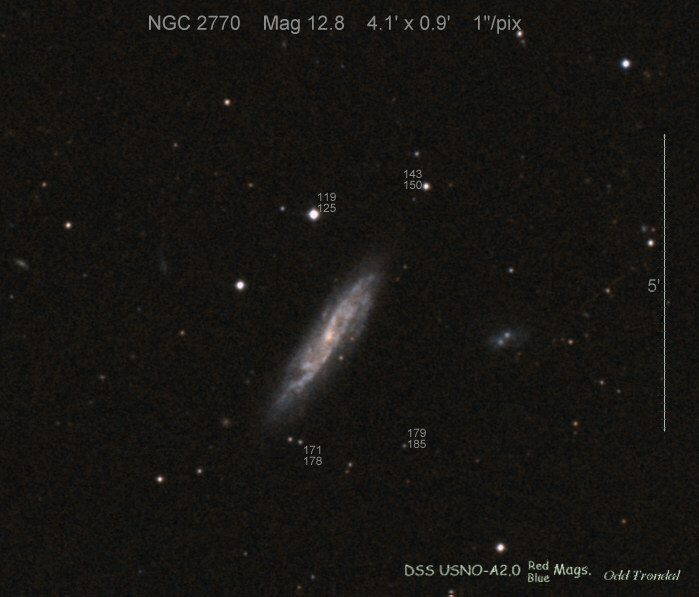 This page is devoted to information on Supernova 2015bh (= PSN J09093496+3307204) in NGC 2770. Basic information on this SN, including the last reported brightness, on this Supernova can be found on the main page. Information on the original web pages for many of these images can be found on the links web page. 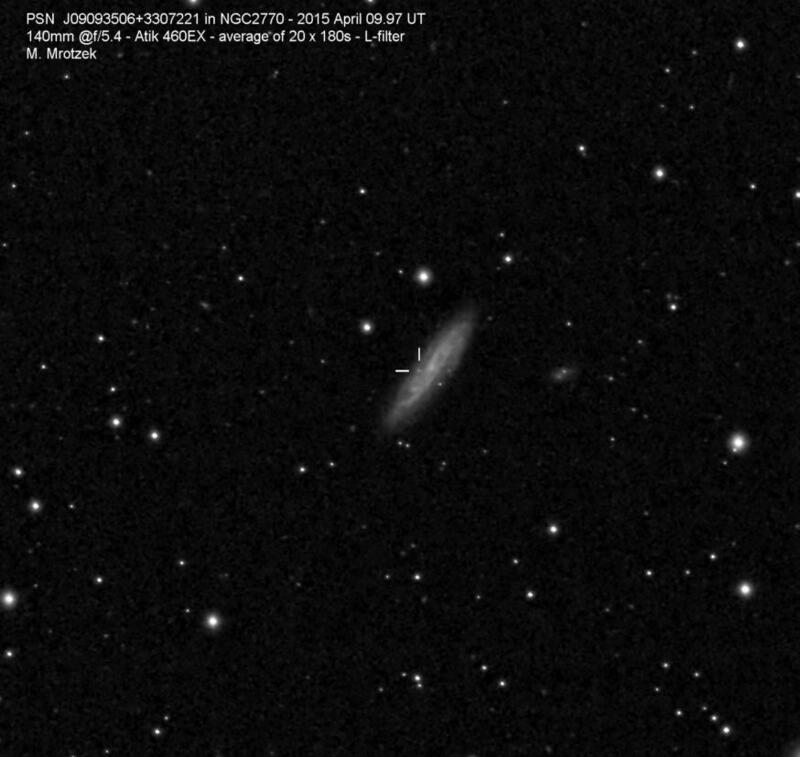 Discovered by Catalina Real-Time Transient Survey and Stan Howerton (USA) as SNhunt275. There is also a report that this object was discovered by PTF and named iPTF13efv, but this is not confirmed. This one is an LBV (supernova imposter) which appears to be brightening into a Type IIn. We have a Photometry reference image made by Odd Trondal. This supernova is in the Constellation Lynx.